Slow progress on the canvas, but lots happening in the garden. I don’t seem to have made much progress on the canvas this week, but I’ve been distracted. Mother Nature is performing her seasonal miracles in the garden and you’d have to be hard-hearted not to want to watch. On March 1st, I took some pictures. I’m no gardener, so everything that comes up in my little patch has well and truly got here on it’s own merits, but I’m always fascinated by the way that life springs up from the cold and dark winter soil. 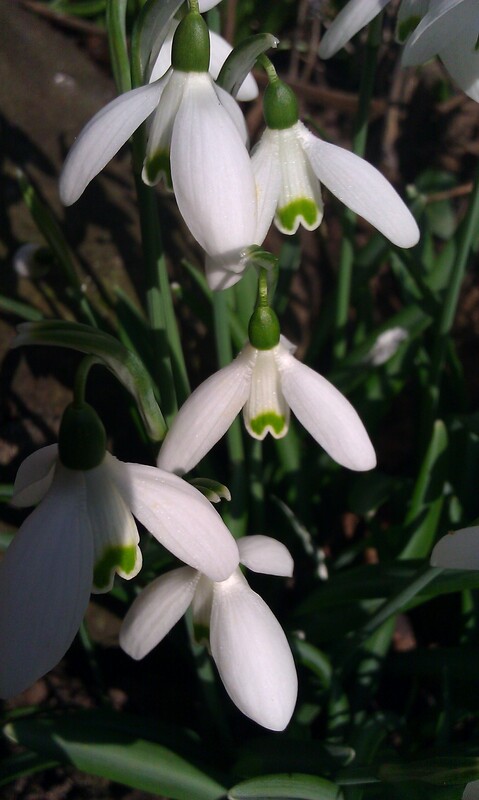 Snowdrops appear every year. I’ve never planted any. Ivy winds itself around the trees and over the fences. It’s welcome in my garden, the flowing leaves take off the sharp edges of the fences. A touch of ‘The Secret Garden’. Sunshine is pouring through the window and energy is seeping back. I’ve resorted to a frame for the time-being – just too soft to keep tight for stitching, but once it gains its own strength, I’ll take it off again. Not using my normal vivid palette on this piece – yet. 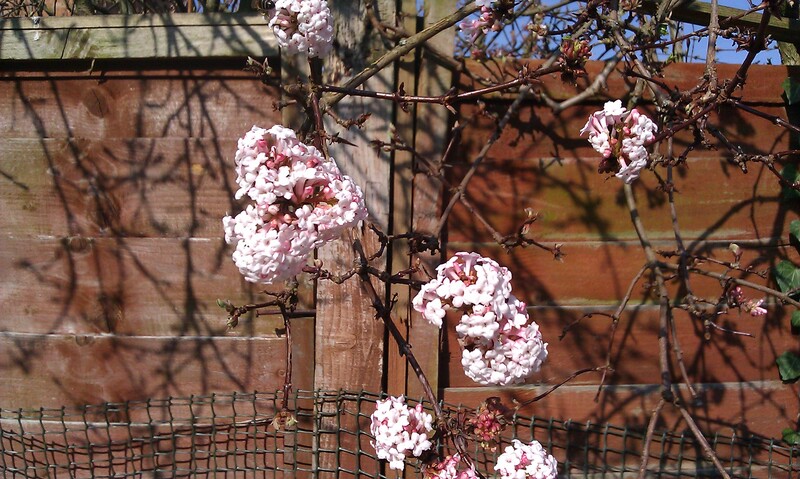 It might call out for colour as it develops, but at the moment, it’s pale. Hope you’re having a productive week. 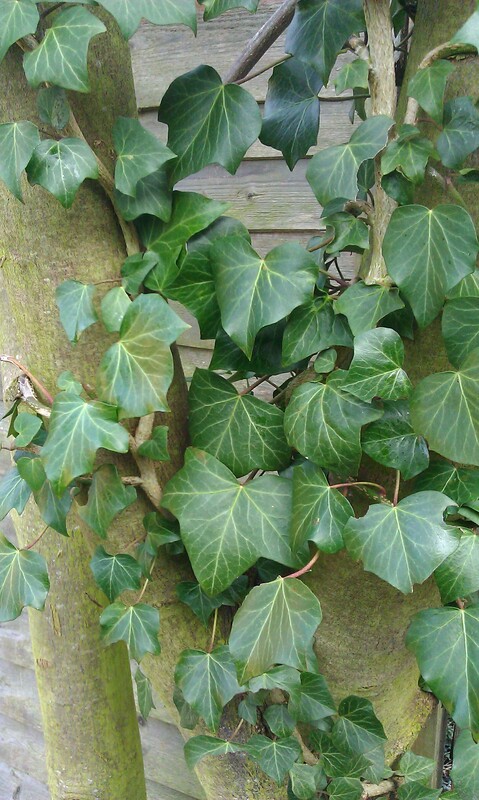 Ivy was the enemy in our last garden. It attached itself to the limestone foundations and sucked out all the calcium it could. result – crumbling foundations and brick walls without support. Rather a worry! Eeeeek! Thanks for the warning, although I think we’re probably OK, the ivy isn’t too close to the house. Actually, if I’m honest, I think there’s only the ivy holding some of our fence panels up. loved the pics and put a link to this post on my blog! Thank you – your site is coming along really well – I keep popping by to have a look. Keep up the good work. You seem to have a lovely garden and get lots of bright sunshine. Very beautiful photos of the flowers and ivy. I also liked the stitching very much. Hello, thank you for your message. I’ve just sneaked a peep at your lovely blog – fabulous, Too many things to do right now, but I’m going to head your way tomorrow and have a good read – needlework and books – my favourite things! what thread are you using? The south facing front of my house is about a month ahead of the back garden! 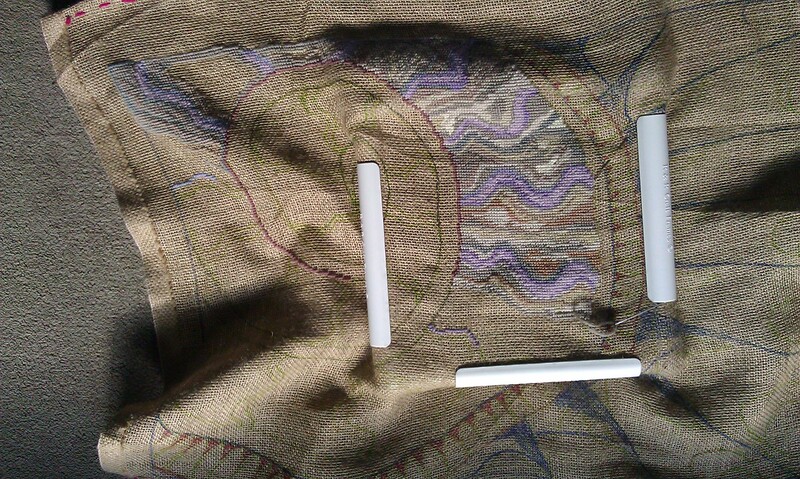 At the moment I’m using Appleton tapestry wool and occasionally Appleton crewel, doubled up. 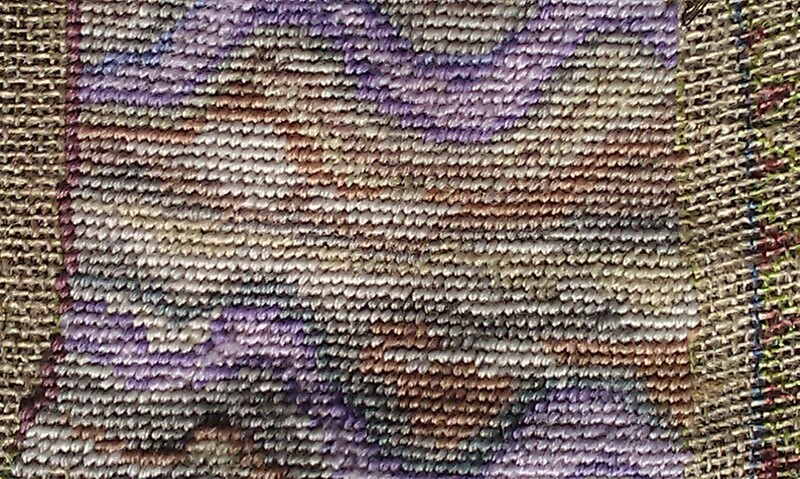 The weave is very open on this hessian. I’ve got some lovely thick silk that I’s like to incorporate, but that will come later. I am so impressed that you grow your own peaches – it sounds wonderfully decadent to me. Good luck with the frost. 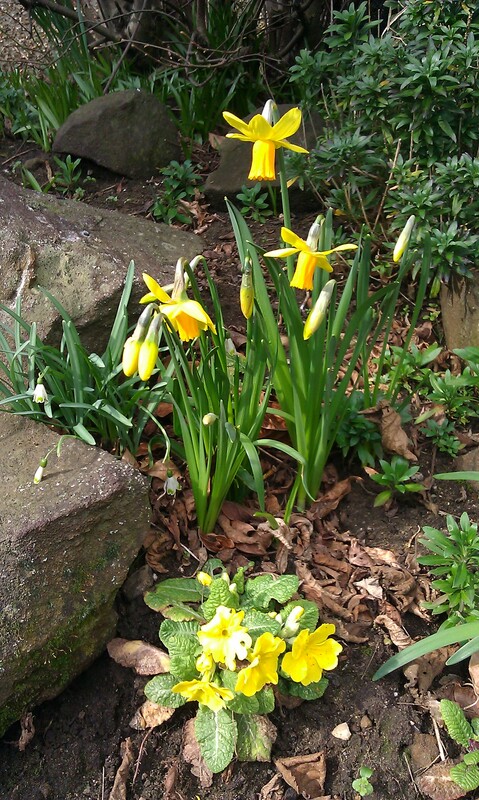 Spring is definitely the best time of year in our garden. I’m glad you like the colours – not my usual selection, but it’s interesting to see how they work together.